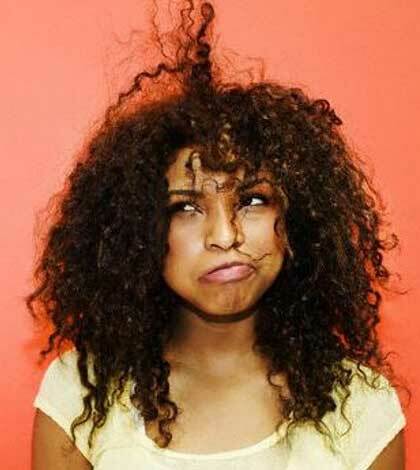 Frizzy hair can be one of the greatest hair troubles for all types of hair. There are many commercially available anti-frizz hair products available in the market but none of them do justice to treating and removing frizz from Indian hair as much as various natural home remedies do. A lot of things that constitute our breakfast are excellent ingredients for controlling and overtime, completely eliminating frizz from your hair. Read on for few such remedies that are easy to use, and extremely pocket friendly. 1. Washing Hair with Apple Cider Vinegar – Soon after you shampoo your hair, wash your hair first with water, and then with equal parts of water and Apple cider vinegar. This will not only help you control hair frizz but will also bring a lot of shine to your hair. 2. Washing Hair with Carbonated or pH altered water – After washing your hair, give it one final rinse with Carbonated water or sparkling water. The low pH level of this helps to remove frizz from your hair. 3. Washing Hair with Beer – This is one of the most effective Anti-frizz remedies. After washing your hair, wash it with Beer and leave it for 2-3 minutes. After that, completely rinse it with cold water 4-5 times to remove the smell of Beer. This will leave your hair frizz free and bouncy. 4. 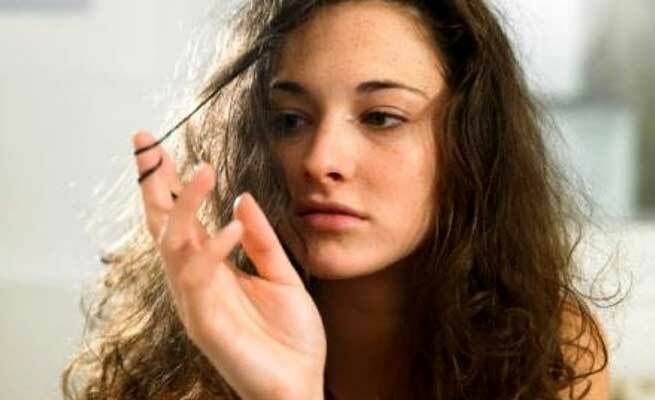 Conditioning with Egg – Another great way to fight frizzy hair is to condition it with Egg. Simple apply Egg on your hair and leave it for 20-25 minutes. Rinse it well with cold water for 4-5 times to remove the smell. 5. Conditioning with Mayonnaise and Avocado – Make a paste out of 1 cup mayonnaise and half Avocado. Apply this paste on your hair with your fingers and leave it on for 30 minutes with a shower cap or a plastic sheet on the paste covered hair. Apply warm towels over the shower cap or the plastic sheets. After 30 minutes, remove the shower cap or plastic sheet and wash it thoroughly with cold water. 6. Pre-wash conditioning with Olive Oil or Coconut Oil – Right before you decide to shampoo your hair do an overnight conditioning with Olive Oil or Coconut Oil. You can even make a mixture by combining both these oils, and warming them before applying them evenly on your hair. Let this stay overnight and then shampoo the next day. Oil is one of the greatest enemies of frizz. 7. Conditioning with a Banana mask – Banana is a great source of many minerals that smoothens hair. Make a paste out of one Banana and apply it evenly on your hair after washing it. Let it dry off for 30 minutes. Rinse it off with cold water and experience frizz-free hair. 8. Honey and Milk mask – Mix half a cup of Honey with 4-5 spoons of Milk together to make a thin paste. Apply it on hair using your fingers. Apply a shower cap or a plastic cover onto the masked hair, and let the mask dry off for 20 minutes. Rinse off with cold water to reduce frizziness. 9. Henna mask – Henna is one of the most useful herbal remedies for dry and frizzy hair. Mix 3-4 spoons of henna powder into 1 cup of tea liquor. Also add some curd and mix all of these together into a thick paste. Apply the paste as a hair mask and leave it overnight for maximum benefit. Rinse it off in the morning with a light shampoo. 10. Egg with Lemon and Oil mask – Mix one egg with 5 spoons of Lemon juice and 5 spoons of Olive oil. Mix all of these together into a paste. Apply evenly on your hair and let it dry off for 15 minutes and then rinse it off with cold water for frizz free hair. Most of these natural remedies work wonders in reducing and even completely removing frizziness from your hair. These remedies can be used once and even twice a week for best results.